This is from Food, Inc. that a friend shared on Facebook. I love this! 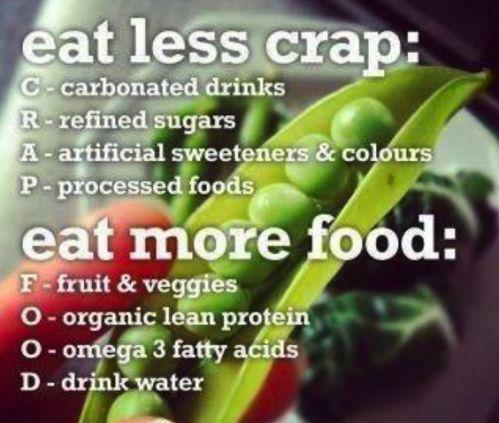 It is so simple, and it’s basically what I have been doing to lose weight, and more importantly, keep it off! This entry was posted in Home Gym and tagged diet, fun, health, healthy eating, healthy-living, information, weight, weight gain, weight loss. Bookmark the permalink.